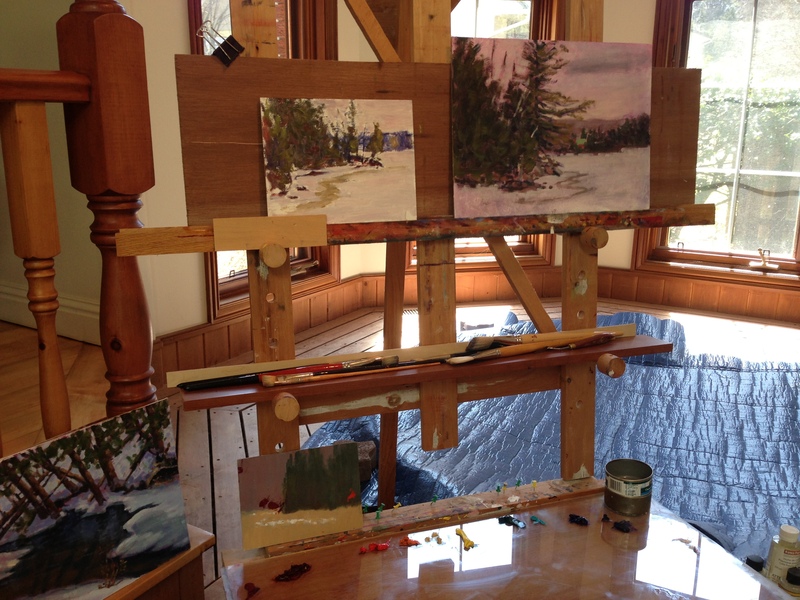 As part of my creative journey, I took oil painting lessons from George Perdue. 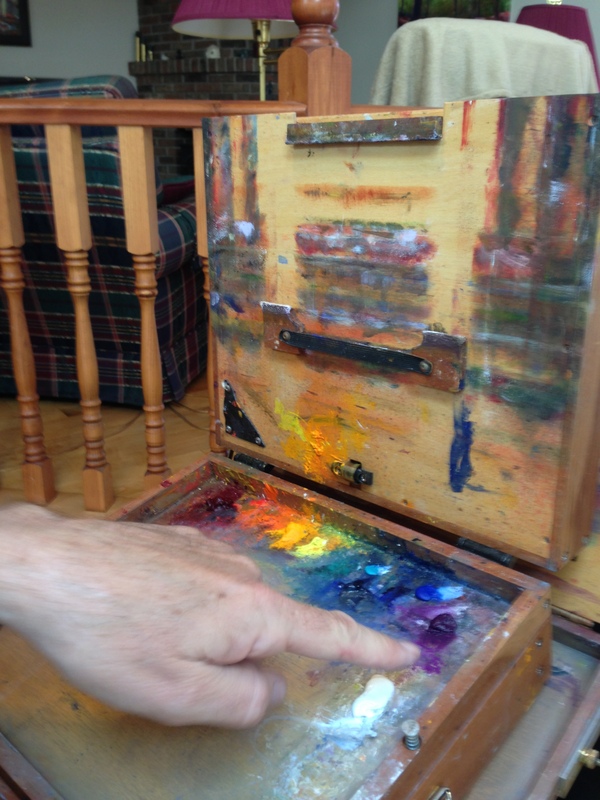 George is a ‘plein air’ painter and some day I hope to do some of this. 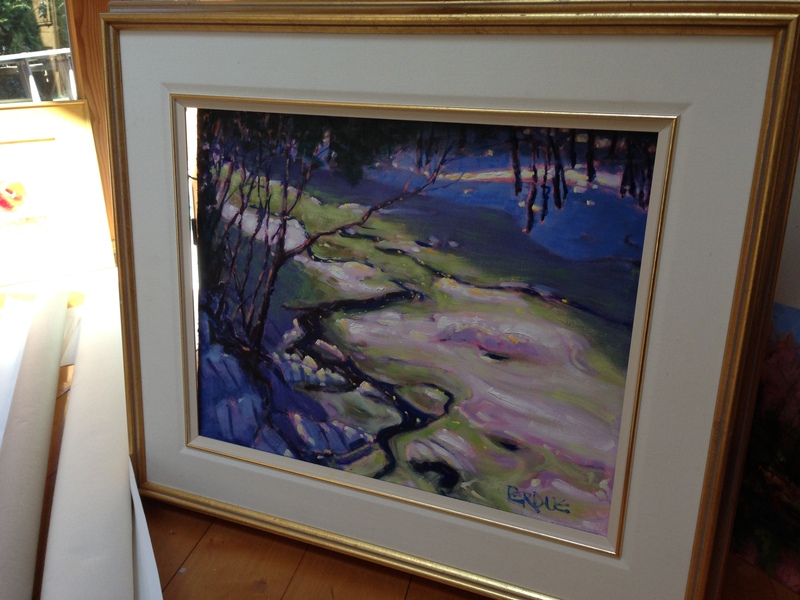 I love George’s painting style and his use of colour. 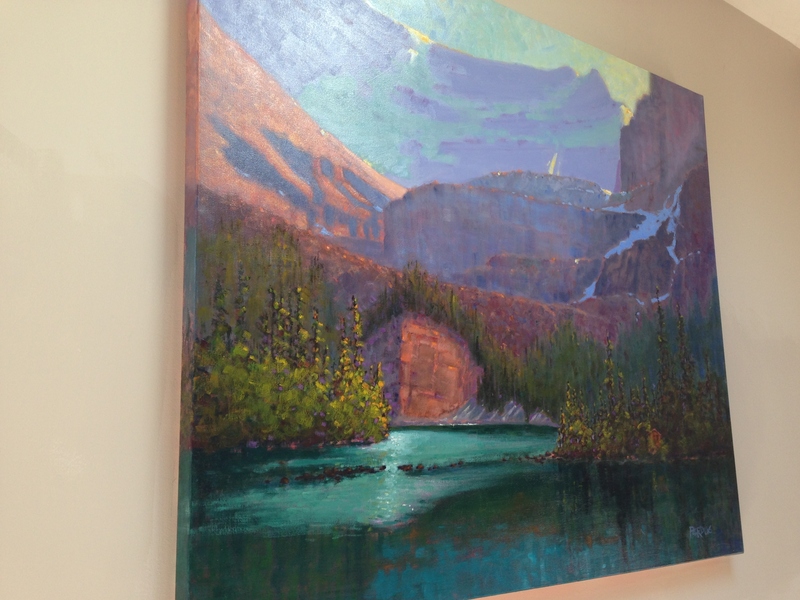 The colours are contrasty and vibrate. 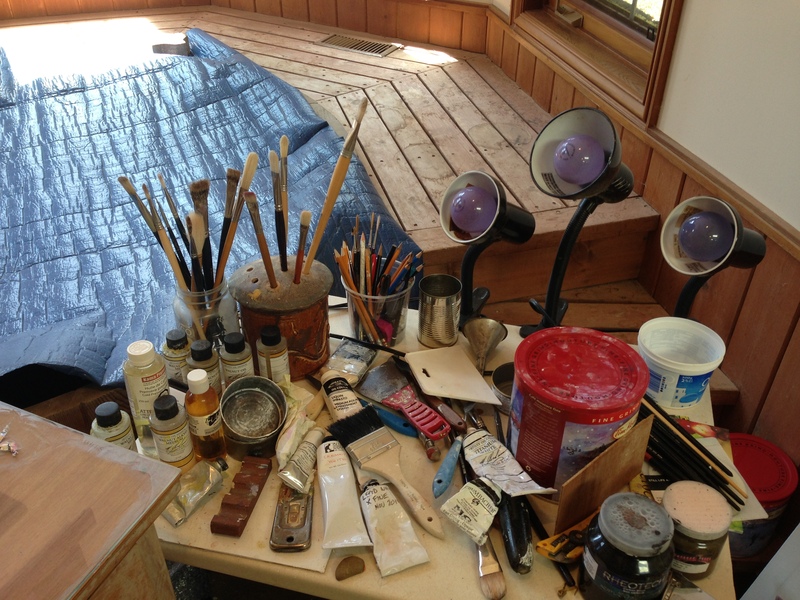 I asked George if I could see how he organizes his studio [I thought if I could see a working studio, it would help me make sense of all the supplies. 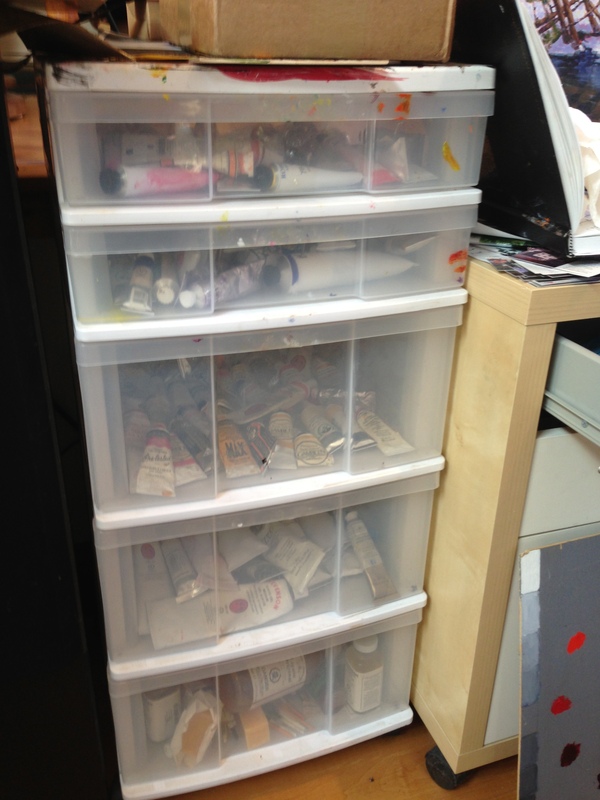 M-m-m more time for painting]. 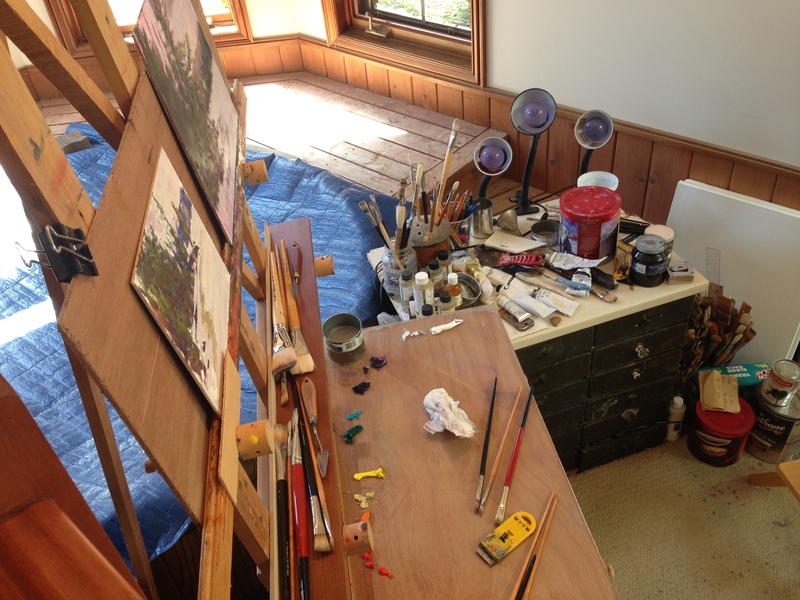 Leah took photos and video [thank you Leah] – so I could take in the studio unimpeded. 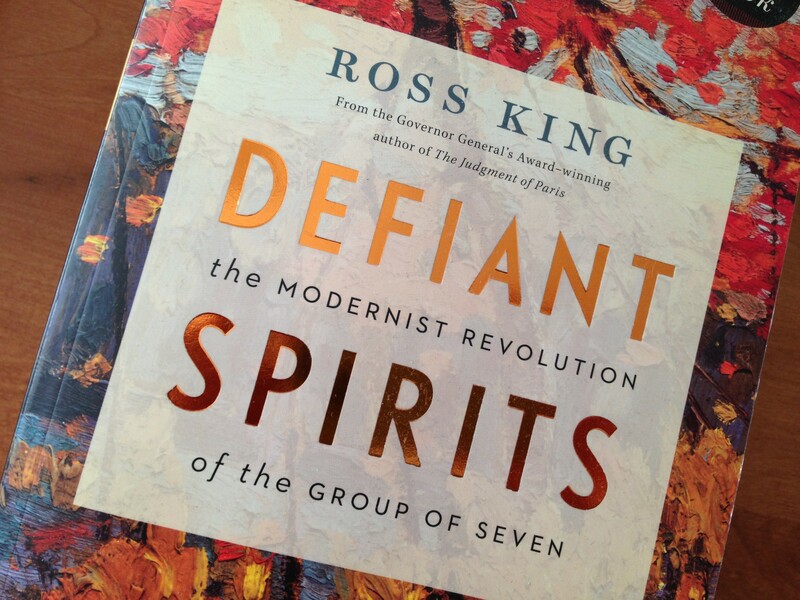 I say ‘Other’ Defiant Spirit, because I am reading [trying to read… it’s just taking me long time] Ross King’s – Defiant Spirits about the Group of Seven. George has already finished the book. 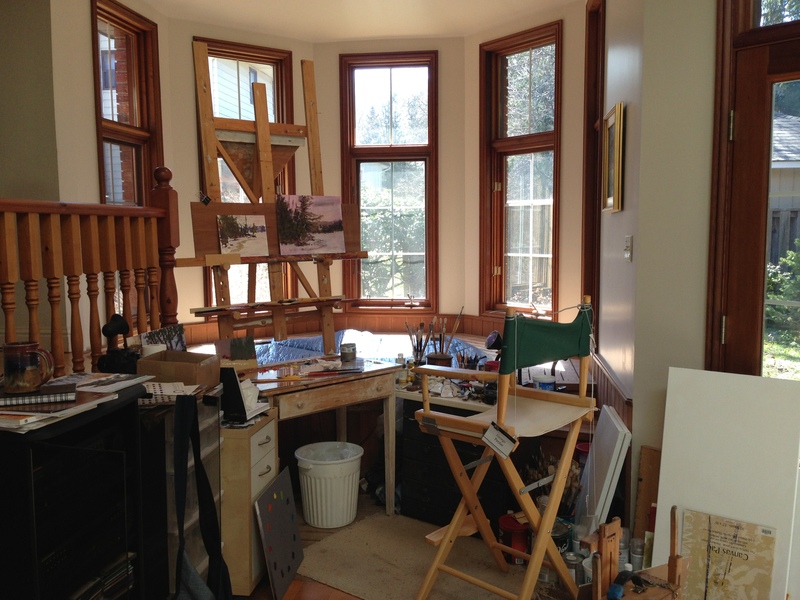 George’s studio – great light. 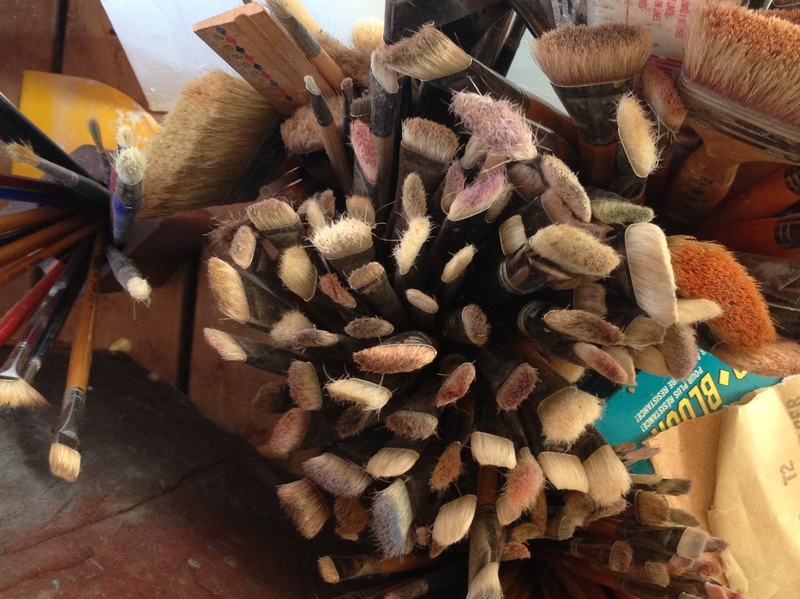 Left of the easel – paints. 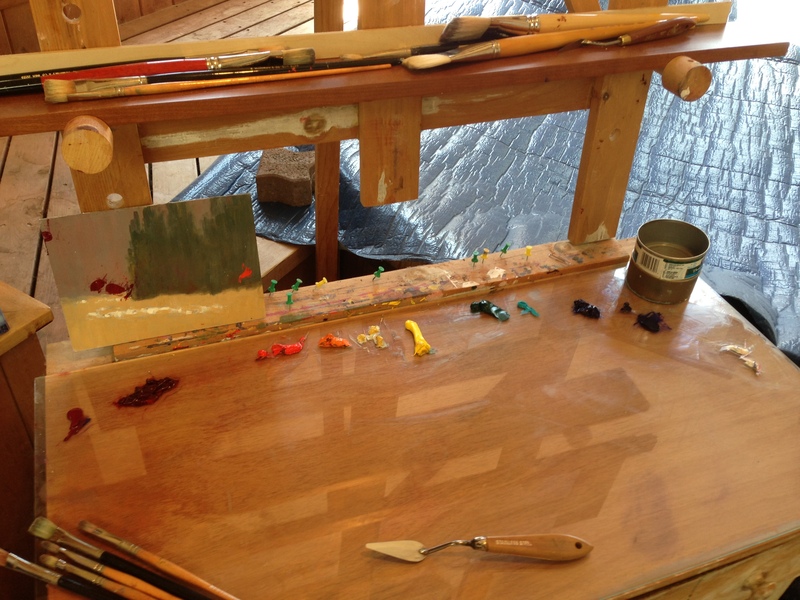 The palette. 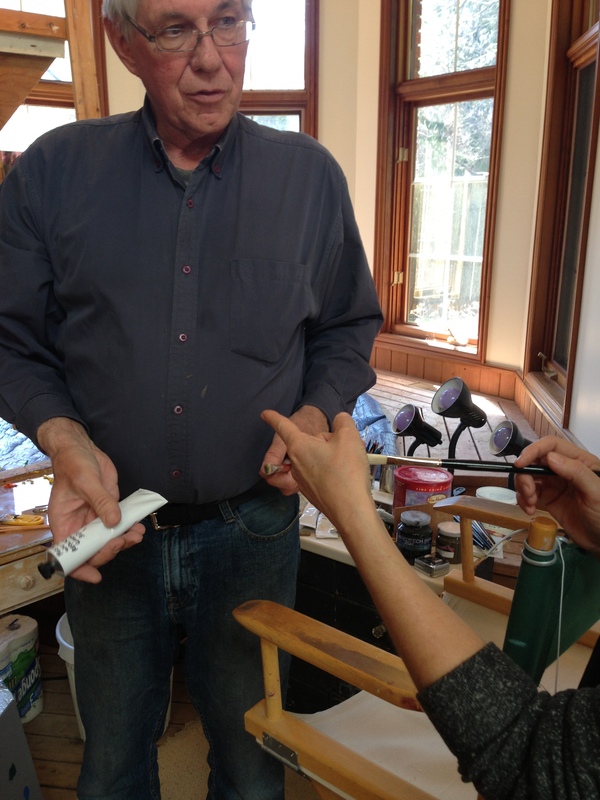 Glass is easy to clean. 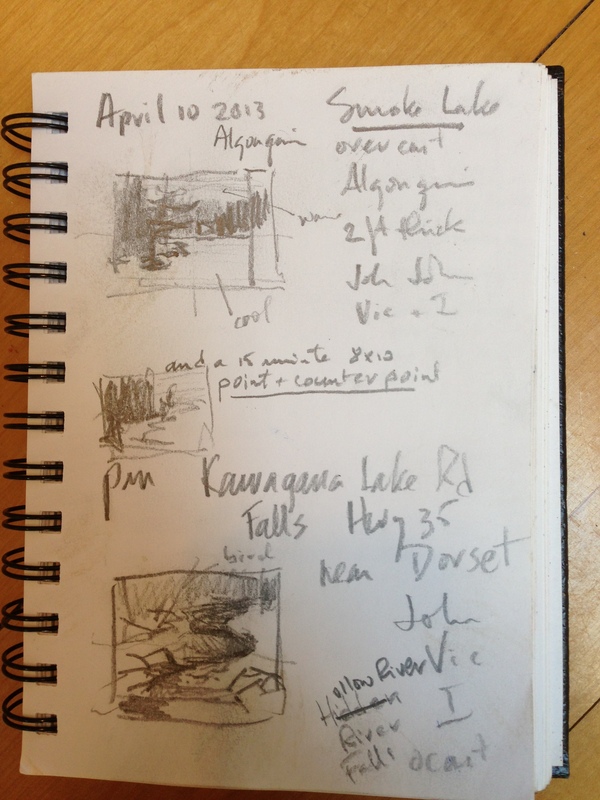 Thumbnail sketches – for composition, light values and notes. 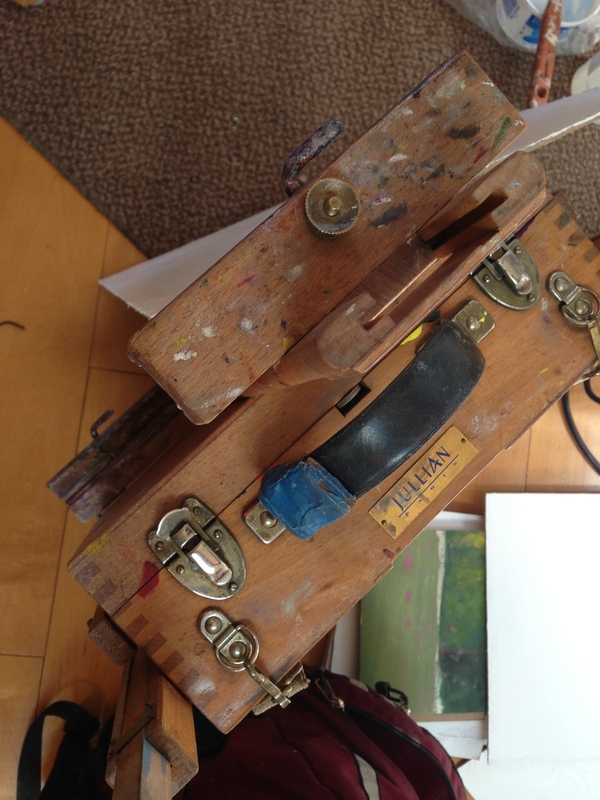 French easel – great for plein air – versatile, sturdy, big, but can be heavy. Algonquin Park? 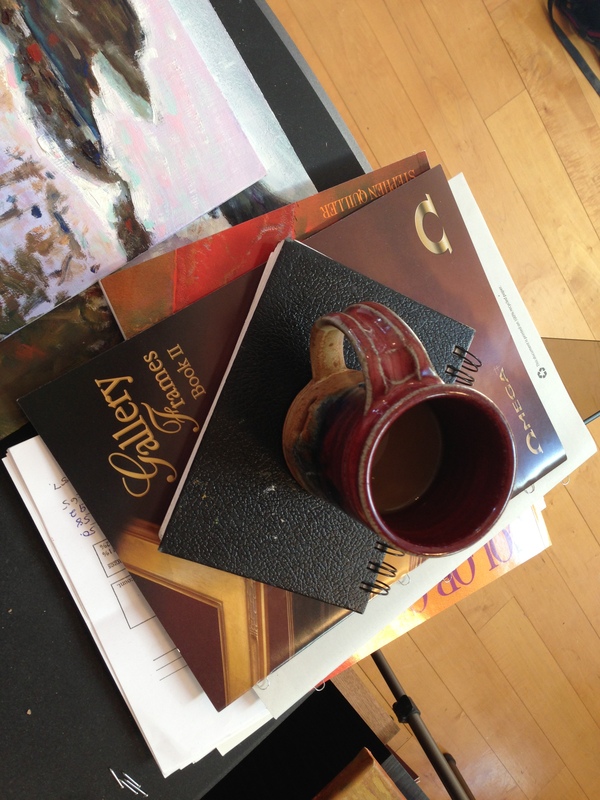 Will travel. Lake O’Hara. The tranquility and peace vs. the strength of the mountains… wow!